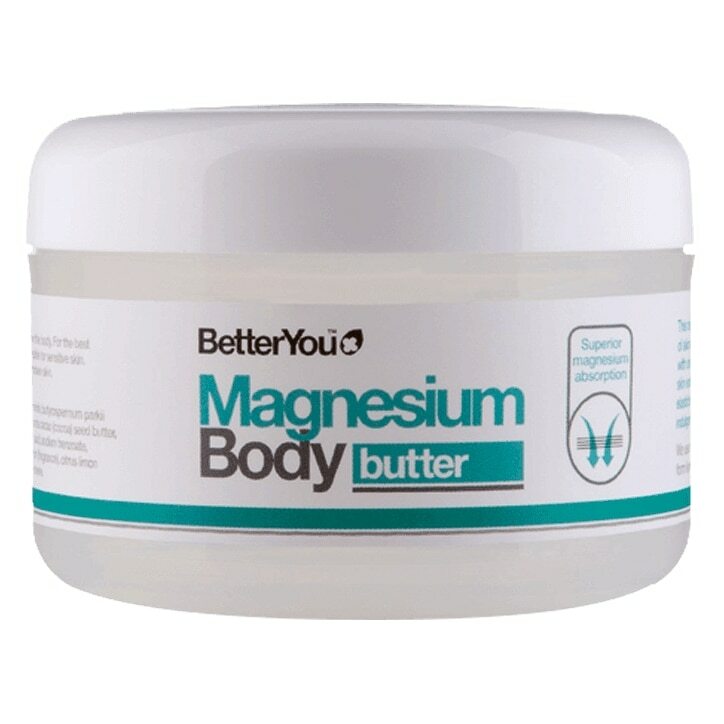 The BetterYou MagnesiumBody range is a brand new formulation of skin kind ingredients, developed with BetterYou Magnesium Oil to help revive and replenish skin as well as improve elasticity and overall skin health. Magnesium is crucial not only for skin performance but importantly enhancing its ability to repair and function as a protective barrier. Combined with 100% natural coconut oil, shea butter and vitamin E, the fast-absorbing formula will guarantee to leave skin feeling beautifully soft and supple whilst promoting the healthiest skin glow. Dermatologically tested, BetterYou Magnesium Body Butter and Body Lotion have passed the most rigorous of trials so that you can be confident of their suitability for, and effective support of the most sensitive of skin conditions and the harshest of modern environments. Made in the United Kingdom. Contains 15% BetterYou Magnesium Oil. Contains 99% natural ingredients. Gently massage into clean, dry skin. For use all over the body. For the best results, use after a bath or a shower. BetterYou Magnesium Body Butter is rated 4.0 out of 5 by 9. Rated 1 out of 5 by megs11 from why is it different now? I have had several tubs of this body butter which I have loved, however there seems to be parfum in this version and the smell is horrible (for me at any rate). why has it been changed?